Recently a letter to the editor of the Paterson Times authored by current Paterson Board of Education member Emanuel Capers was posted online. The Paterson Education Association, (PEA) intends to investigate whether Mr. Caper’s letter to the Paterson Times violates the Code of Ethics by which all school board members are bound. While we will do our best to investigate this matter, please allow this to serve as the PEA’s official response. First, Mr. Capers may be entitled to his own opinion, but he is not entitled to his own set of self-serving facts. I am flabbergasted that a board of education member trusted with overseeing an approximate one half billion dollar school budget is not keenly aware that a change in the District’s medical carrier is a non-negotiable aspect of collective bargaining. Simply put, the District has the managerial prerogative to change between insurance carriers without the Union’s sign off. More than that, however, I question Mr. Capers’ involvement in the negotiations process. Here is a fact that Mr. Capers left out of his letter, Mr. Capers did not attend a single negotiations meeting. Next, Paterson Public Schools business administrator, Mr. Richard “Leon” Matthews’ recommendation to shift to a self-insured medical insurance plan has left all employees in a very precarious position. Under Matthews’ recommended plan, members now find themselves delaying life-saving medical procedures, using credit cards to charge medical bills, lost access to quality doctors, and thousands of dollars in unpaid medical bills. Doctors have even reached out to patients outlining reasons why they will no longer accept them as patients. As each day passes, our members continue to shower the Union with horrifying personal experiences that are placing members and their families lives at severe risk. As I compose this response, I cannot help but recall the plea from our members for immediate relief at last month’s emergency health benefits meeting with the District. These horrifying stories were not the picture that Mr. Matthews painted prior his recommendation to switch to a self-insured medical plan. In fact, Mr. Matthews pressed forward with his scheme to self-insure even after the Paterson Education Association opposed his plan to make the switch. Members of the Paterson Education Association work extremely hard dedicating their lives to the students of Paterson. It is unconscionable that many employees have reported spending an inordinate amount of their time before work, during their lunch period, and after school hours fighting with the insurance company and advocates to ensure they are receiving all of the benefits outlined in the plan. All of the employees serving the Paterson Public Schools deserve better because they are the heartbeat of our school system. It was Mr. Matthews that brought a self-insured medical plan to our school system. It was Mr. Matthews that recommended the District place Liberty Benefits, Crumdale Associates, WebTPA, on the District’s payroll. It was Mr. Matthews that that allowed Colonial Life entry into our schools, access to employee personal data, (violating the collective bargaining agreement), and permitting Colonial Life reps to sell insurance products. It was Mr. Matthews that made detailed presentations to the board of education during budget season touting an equal to or better program. Therefore, it is Mr. Richard “Leon” Matthews ultimately must answer to the members of the Paterson Education Association and the district for this plan. 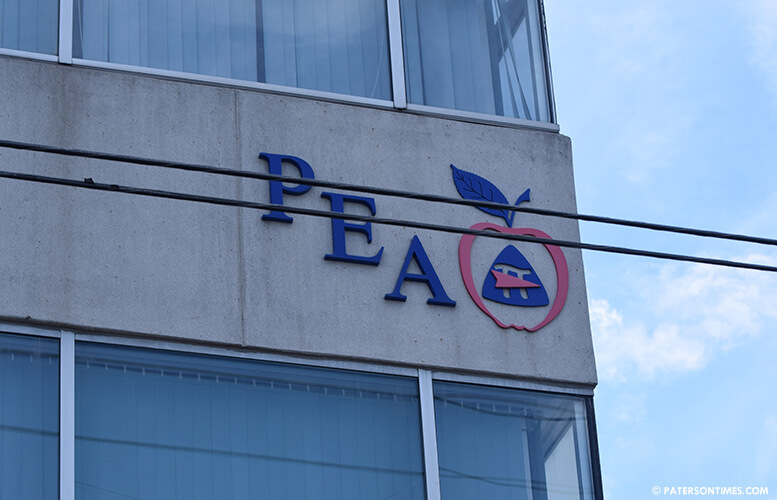 The Paterson Education Association will NOT remove the “HealthGate” banner affixed to our Union headquarters until the Paterson School District provides our employees with a timeline for transitioning back to the School Employees Health Benefits Program.